Waistcoat of yellow and brown flecked woven silk with a satin ground and a brown and yellow floral border with a blue floral edge. The buttons are self-covered. 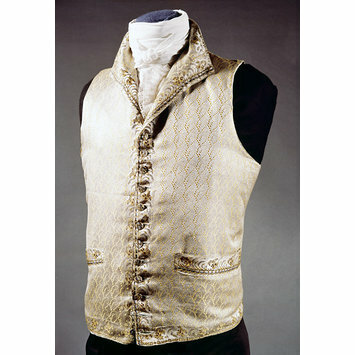 The waistcoat has a natural coloured cotton back with two sets and is lined with the same material. 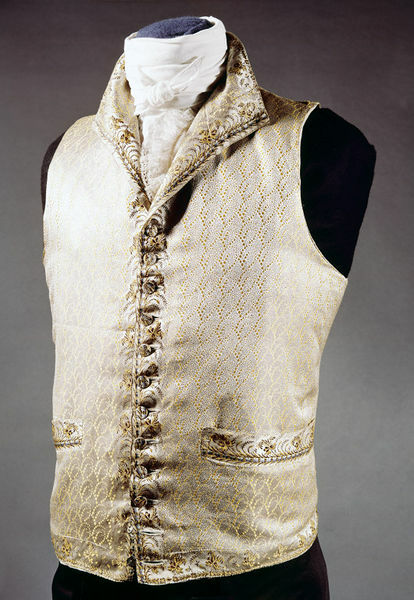 The front are faced with silk. Square cut.